Ed is an awesome Shar Pei mix from Puerto Rico waiting for his new awesome family to take him to his new awesome home. He's available at Buddy Dog Humane Society in Sudbury, MA and is just the coolest dog you can imagine. I had the pleasure of spending about half an hour with him last Sunday and, apologies to Bella, but she almost had a new little brother. I absolutely fell in love with this guy. He's a very strong boy even for his short stature but he's playful and fun, loves to lean and give kisses. Come on - how can you resist those eyes? 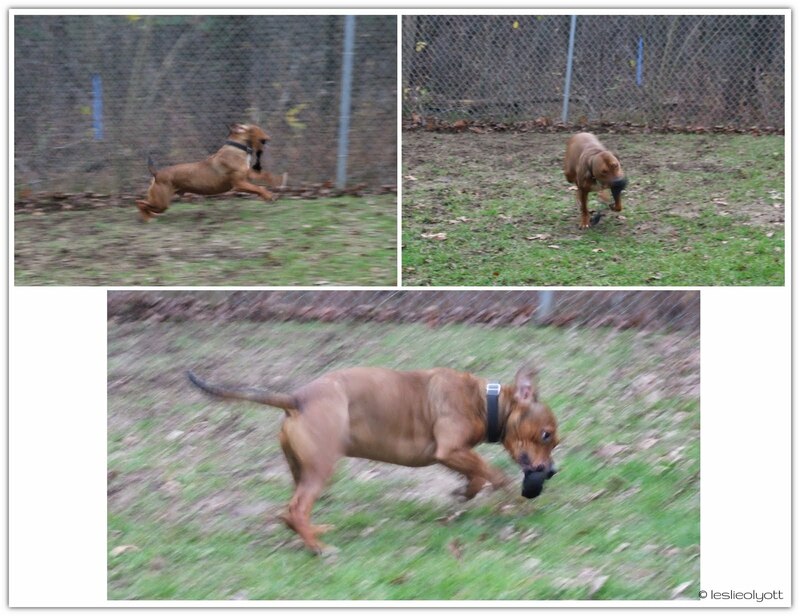 UPDATE: Ed was adopted and is now living happily in his forever home! Thanks to all who helped tell his story. Awwww. What a sweetie. I sure hope he finds a furever home really soon! It must be hard to resist bringing a new fur friend home, especially one who hasn't found his furever home and has been waiting a long time. Hope Mr. Ed finds his home before Christmas. He sounds like a great dog! Hope he finds a home for the holidays! I didn't realize today was an adopt-a-thon. Thanks! Ed is a real cutie. I love the play shots. Those need to go with his adoption page. I'm going to tweet your post now. I thought I commented yesterday, but I don't see it. Anyway, he sounds like a great dog, and I hope he finds a home! It is so hard when you fall in love with one, but you aren't ready for a new one just yet. That's exactly what I'm going through right now too! Anyway, thanks for letting me know about the adopt-a-thon yesterday! To be honest, I fall in love with every dog - I'd have a house full of them if my husband (and Miss Bella) would let me. But this little guy, so friendly and fun and kissy and cuddly, all the while with that wrinkly worried look on his face, was hard to resist. I saw your post about your own adoption concerns but haven't had a chance to comment yet. I do know what you're going through there and want to respond thoughtfully. I'll swing over shortly. In the meantime, thanks for the shout-out. :) Ed got quite a bit of attention from it. Thanks for the Tweet, Pamela! I wish I had gotten better play shots but he took us so by surprise, I wasn't ready. I'm lucky I got any shots at all. I don't know why, but we didn't expect him to play zoomies like that. Maybe because he looks like such a "toughie"? We were laughing too hard to get a good shot of it. But yeah, we're uh, shall we say, working on getting 'different' shots on the adoption pages. (Long story...) That's kind of why I'm featuring dog's here on Saturday's. I didn't realize when I started that you do the same thing on Wednesdays. Aren't they awesome? And the wrinkled brow - he always looks a little worried... So dear. Whew, Hi Ann! Thanks for visiting. Your comment disappeared for a while (blog domain stuff) but I finally got it back again. Sorry about that. He is a pretty boy - and you wouldn't believe how sweet he really is - I couldn't get as many pictures as I wanted because he kept trying to kiss me! Just a love. I think he'll find his home soon. At least I sure hope so. Oh Sue, (btw, I thought I wrote this already...) I SOOOOO thought of Frankie when I was with him. He's a big runner/zoomie kind of guy, not sure how big he is on the rough and tumble. I do think he would be a good mate for Bella, much like I think of Frankie, but alas, unless I want a divorce, that's not a possibility. Here's hoping the attention he gets here will bring him to the sights of his new forever family! Ed is a beauty; hoping someone snatches this playful boy up into a wonderful home soon. Looking good there Mr. Ed. Here's sending you positive energy to attract your forever home! Hey Rumpydog! Thanks for that good karma - if Ed's going to find his new home for Christmas, we need all the good thoughts we can get!